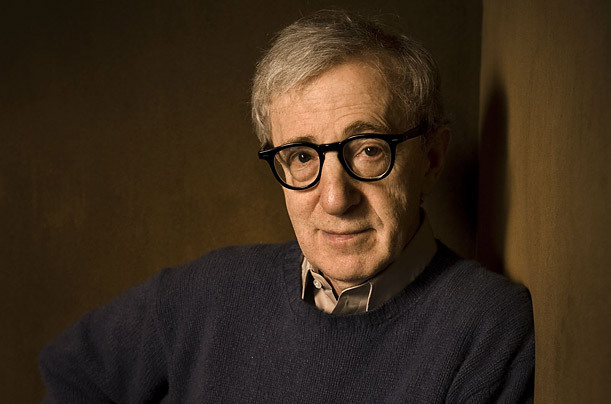 Woody Allen could be looking to continue his tour of great European capitals, a critically acclaimed and financially successful late phase in his astonishing film career. The Oscar-winning director, who just won an award last month for his original screenplay for MIDNIGHT IN PARIS (the biggest box office hit of his career), is reportedly eyeing Copenhagen as the location for his next, still-untitled feature. This has not been confirmed by Allen’s production company, but if it is true, it would be the master filmmaker’s first film set in Denmark. After decades of being the quintessential New York filmmaker, whose films virtually represent Manhattan to the rest of the world, Allen has found inspiration (and new sources of foreign financing) in the past decade by setting his films in Europe. It all began with MATCH POINT, set in London, and has included YOU WILL MEET A TALL DARK STRANGER, also set in the British capital; as well as the Paris of MIDNIGHT IN PARIS, the Spanish setting of VICKY CRISTINA BARCELONA and his upcoming feature NERO FIDDLES, which takes place in the ancient city of Rome. The latter film features an American and Italian ensemble cast that includes Ellen Page, Penelope Cruz, Roberto Benigni, Alec Baldwin, Judy Davis, Ornella Muti, Isabella Ferrari and Jesse Eisenberg. The film is currently in post-production and set to open in the United States via Sony Pictures Classics in mid-June. It is almost certain that the the film will premiere at May’s Cannes Film Festival. According to Danish sources, Letty Aronson, Woody’s sister and producer of all of Allen’s European-set features, is in talks with Danish producer Per Holst (PELLE THE CONQUEROR) for a planned 2013 shoot in the Danish capital.